Product #17700 | SKU 0750 | 0.0 (no ratings yet) Thanks for your rating! 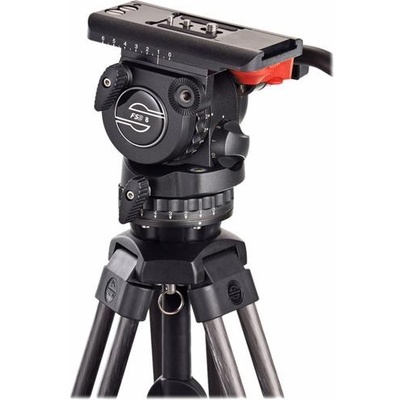 The Sachtler 0750 FSB-8T Tripod System with Speed Lock 75 Tripod is a tripod system featuring the FSB-8T fluid head. This kit consists of a fluid head, tripod, spreader and carry case. This system offers Sachtler quality in a complete tripod system. The Sachtler FSB-8T is a fluid head designed to work with a variety of camcorders up to 9 kg. The Sachtler 4588 Speed Lock 75 carbon fiber tripod with 75mm levelling bowl supports up to 20kg. Speed Lock tripods feature traditional dual-tube design with a twist- three leg clamps instead of six for rapid setup to catch fast breaking news.